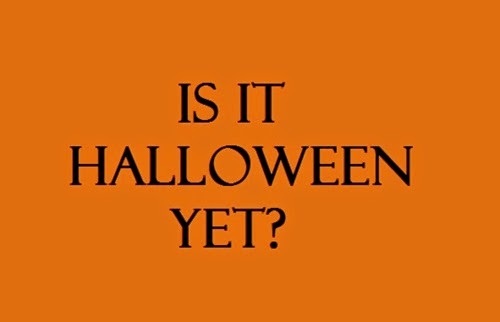 It's April 30, ghouls and boils, which means it is officially HALFWAY TO HALLOWEEN!! Please excuse me while I squeal...SQUEEEEEEEEEEEEE! 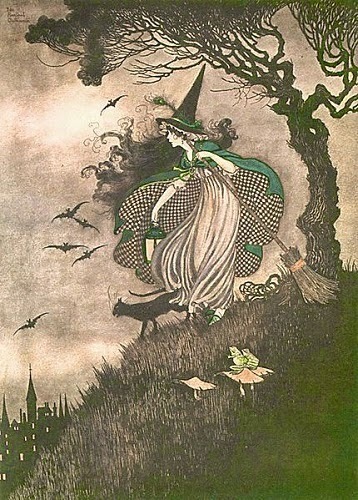 Tonight also marks Walpurgis Night, or Walpurgisnacht, aka Witches' Night! "Walpurgis Night is the English translation of Walpurgisnacht, one of the German names for the night of 30 April, so called because it is the eve of the feast day of Saint Walpurga, an 8th-century abbess in Germany. 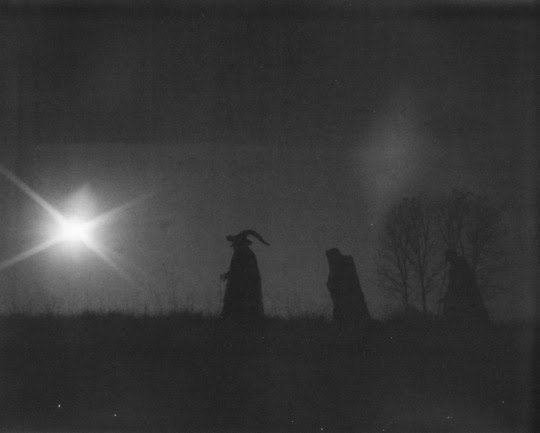 In German folklore Walpurgisnacht, also called Hexennacht (literally "Witches' Night"), is believed to be the night of a witches' meeting on the Brocken, the highest peak in the Harz Mountains, a range of wooded hills in central Germany between the rivers Weser and Elbe." 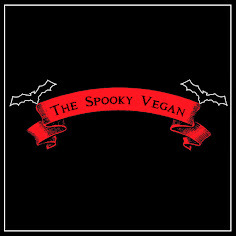 Stay spooky and better start getting your Halloween plans in order! This black and white film is the feature debut from writer/director Ana Lily Amirpour, and I am always stoked to see a female-helmed film, especially one as unique as this one! The film isn't your typical horror movie, in fact I'm not sure I would even call it horror. It's not for everyone, but I found it stylish and engaging, blending elements from pulp cinema, Westerns, film noir, romance, and horror. It has a languid, moody tone, some killer music, gorgeous visuals, and a misfit love (?) story. 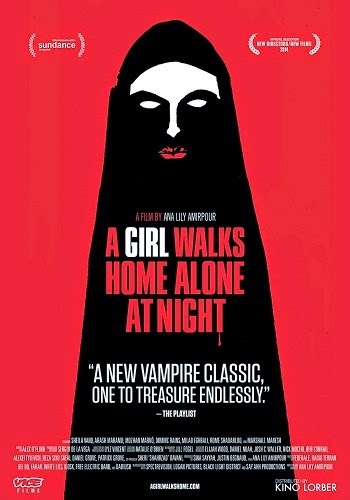 I recommend A Girl Walks Home Alone at Night if you are in the mood for a one-of-a-kind film. You can watch it streaming now on Netflix, and you can also purchase it on Amazon! This is my six-hundred sixty-sixth post, which I wanted to recognize it by, what else, talking about death! I've got some cool things to share, like rad death-inspired artwork, an awesome cemetery zine, and the epic Death Salon coming up! Check 'em all out below! If you don't know the name Matt Darling, you should! He is one of my favorite new artists and I've been drooling over his work over on Instagram. Who can resist anxiety ghosts, scaredy cats, and old hags? Not me! I finally made my first purchases of his work - I bought his delightfully downbeat "Bad Vibes" pin set (spooks, black cats, skeletons skulk around gravestones etched with phrases like "Naw Man", "Can't Win, Don't Try", "Here Lies Who Cares", and my personal favorite "Whatevs 4-evs") as well as a "Hang in There" print. So pleased with everything! You can check out his artwork for sale on badvibes4lyfe.bigcartel.com! I discovered so many incredible new products at last month's Natural Products Expo West! One amazing company I came across was Balanced Guru, who makes aromatherapy scents/perfumes called Energy Mists to help elevate or regulate moods and feelings. I briefly discussed them in my best products of Expo West post (read here), but I wanted to give them their own full post, as they were kind enough to send me home from Expo with a travel kit of their Energy Mists, which I've been using ever since! Last month I attended the Halloween Club's 3rd Annual Spook Show in La Mirada, California. 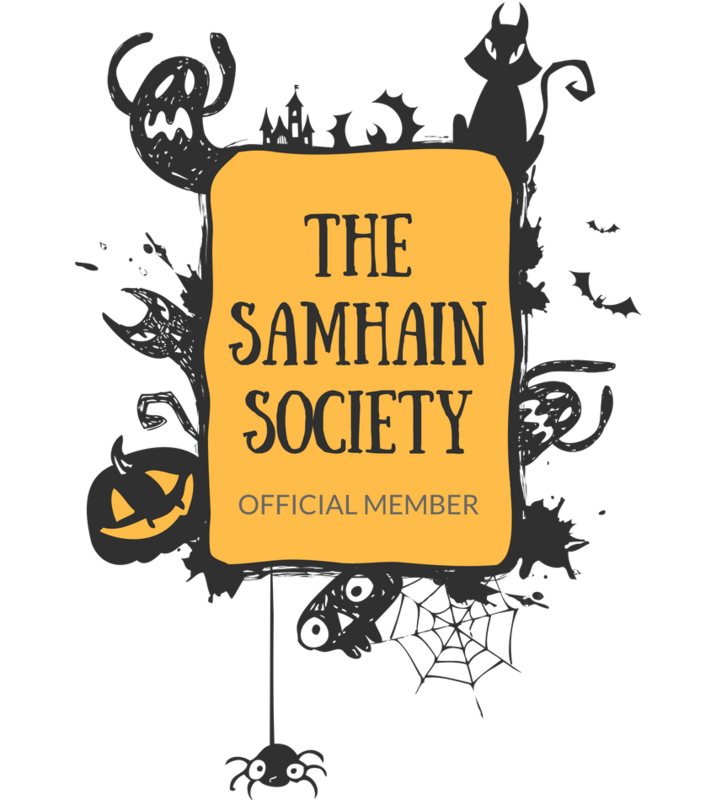 This was my first time attending this event, which brings together Halloween enthusiasts and Halloween/horror/gothic vendors, plus, a huge discount on merchandise from the Halloween Club (I believe they were offering 40% off). The vendors are all set up in the parking lot of the Halloween Club, and offer diverse wares such as art, jewelry, horror merchandise, purses, hair accessories, masks, toys, Halloween decor and props, gothic furniture, t-shirts, taxidermy, and much, much more! 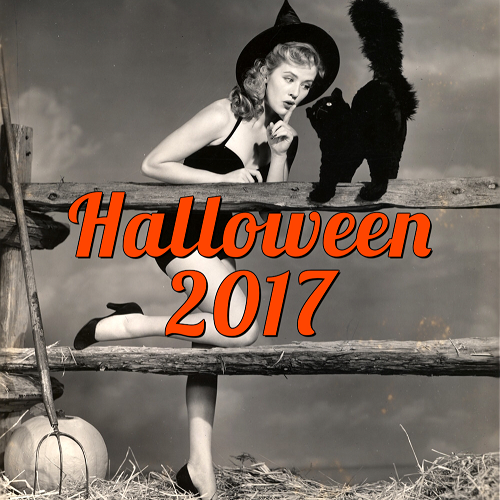 There are booths for those representing local haunts, attractions and conventions, people dressed in elaborate costumes, food trucks, a stage with music acts and host, and more fantastical fun! Plus, it is free to attend! Wolfcop is a 2014 release that started streaming on Netflix recently and I was instantly drawn to its B-movie vibe! After watching it, I think it is a great mix of comedy/horror and is perfect for a horror movie night with friends or something to throw a few beers back with. Synopsis: After being transformed into a werewolf, boozy cop Lou Garou uses his new powers to tangle with devil worshipers, shape-shifters and other minions of evil. 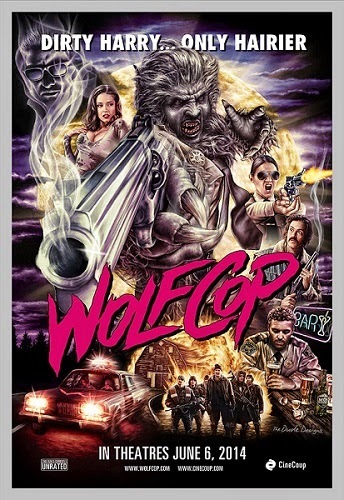 Wolfcop has an engaging story, unique characters, slapstick, gore, shapeshifting, and one hairy cop. Plus, its transformation scenes, pivotal for any werewolf movie worth its salt, are done really well! 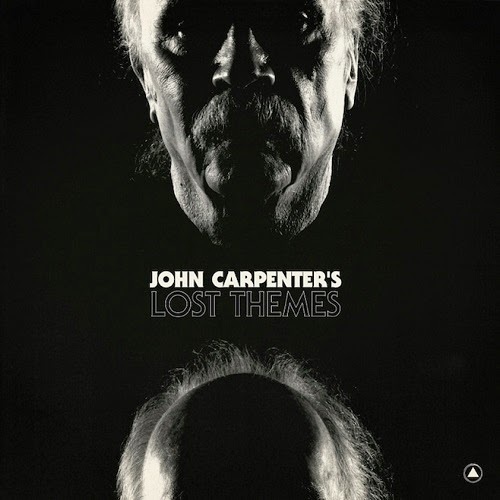 I also love how the film throws it back to '80s horror flicks, has clever little werewolf references (I mean, the cop's name is Lou Garou, when the French "loup garou" means werewolf), and the plot keeps you guessing as you try to uncover the mysteries, both past and present, that surround the town. If you are looking for a fun horror movie, watch Wolfcop on Netflix now! I previously reviewed all of Neat's meat replacement mixes (check 'em out here! ), but I wanted to do a separate post to highlight their awesome new egg replacer, called the Neat Egg! I used it in all of the Neat mixes I tried, and it worked wonderfully, but I also wanted to try baking with it. The Neat Egg is pretty awesome if you ask me! Not only is it versatile and can be used in cooking and baking, but it is also only made with two ingredients - chia seeds and garbanzo beans! That means it is totally natural, plus it is gluten-free, non-GMO, soy-free, and, of course, vegan! It comes in a dry mix, and to replace one egg you just mix together one tablespoon of the Neat Egg with two tablespoons of water and add to your recipe! It's so easy and it is a fantastic binder! I watch a lot of Netflix and am always looking for new things to watch, so I thought I would start this new section called "Watch Now on Netflix" to recommend titles I've recently enjoyed! All titles are streaming on Netflix at the time of posting, but you can also find them on other streaming services, on DVD or on Blu-ray (links below will lead to titles' Amazon pages). 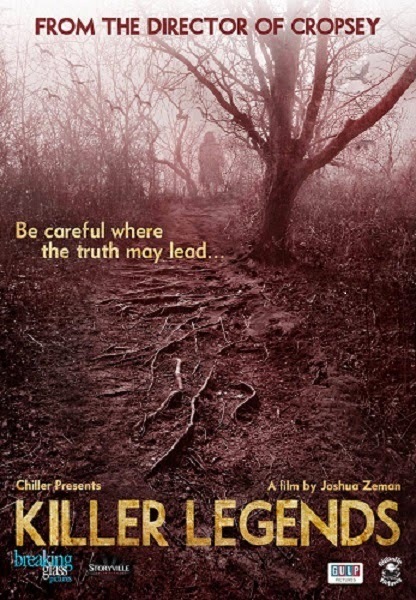 The other night I watched Killer Legends, a documentary that follows Joshua Zeman (who brought us the chilling documentary Cropsey which I also highly recommend) and Rachel Mills as they explore four urban legends and their shocking true-life origins. They find that the truth is sometimes far more horrifying than fiction. Last month at the Natural Foods Expo West (check out my coverage here! ), I was fortunate enough to stop by the NII Bars booth, where I got to sample their vegan, gluten-free, soy-free, and non-GMO verified nutrient-dense organic food bars! While I sat there stuffing my face with all the flavors they had to offer, their founder Shanais Pelka told me all about her vision and her company. As a mom and nutritionist, Pelka was always looking for a quick and healthy to-go meal for herself and her kids. She didn't want to sacrifice nutrition for convenience, so she spent lots of time experimenting to create the perfect food bar. The end result is the NII Bar, which comes in five scrumptious flavors! Who knew Vampira was a beach goth? With warmer temps heating up SoCal and spring breakers descending on our beaches, it already feels like summer is here! As you probably know since I've complained about it so much, I'm not the biggest fan of the sun, summer, or the heat. This year, however, I'm kinda looking forward to the summer season (though probably only because it will put me closer to Halloween). In fact, I've been so stoked that I kinda started planning beach trips and browsing for the perfect gothic beach accessories. 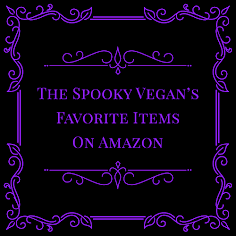 I've found some ghoulishly great goth items for this summer, so now I guess I don't have an excuse for not hitting up the beach!